Don't want your kids to mess up your tax return files? Don't want your photo collection to be damaged by a virus? Don't want someone to install software without your permission? 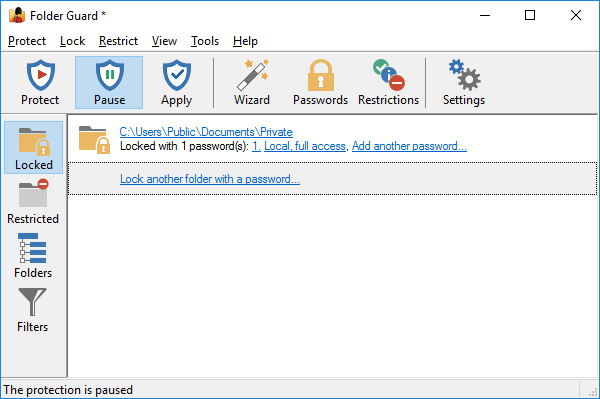 With Folder Guard®, you can restrict access and visibility of files and folders, protect folders with passwords, fine-tune the access rights for different users and applications, etc.